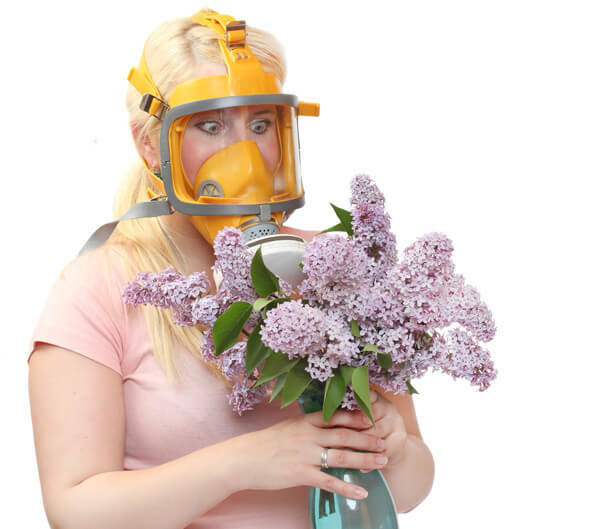 What is Hay Fever according to Chinese Medicine? In Chinese Medicine your Lungs are in charge of your immune system which the Chinese call your “Wei Qi” or “Defensive Qi”. This is the Qi which protects us and keeps us in balance with the environment. When this Qi is weak, then weak bugs and allergens that normally shouldn’t cause any issues are able to get in and cause such ailments as hay fever and chronic sinusitis. There are many externals evils which try to invade the body, when our Wei Qi is weak this makes their job easier and they can get lodged in the sinuses and aggravate the surrounding areas such as the eyes and throat. Often there is a digestive element involved, as the source of our Wei Qi comes from our digestion which then goes on to nourish the Lungs, as shown in the 5 elements diagram. By expelling these pathogens from the sinuses and strengthening the immune system, Acupuncture is able to provide relief to sinusitis and hay fever sufferers. Prevention is always better than cure, so once we get rid of the infection and inflammation, it is worthwhile having maintenance treatments to prevent it returning, especially during hay fever season. The term sinusitis refers to inflammation of the sinus cavity. This inflammation can be caused by a sinus infection, polyps and even poor diet high in dairy and processed sugars. This inflammation can also spread to the eyes causing itching, swelling and redness. When the mucous lining in the sinus becomes infected or swollen, we find it difficult to breathe, experience blocked ears and a runny nose. The extra mucous produced in your sinuses can cause an increase in pressure resulting in sinus headaches, also called frontal headaches. These can often be felt across the forehead or around the eyes. Why do people suffer Regular Sinus Infection? Chronic sinusitis especially in the colder months is a frequent occurrence. Often I see patients have it as a result of a pathogen their system has never fully gotten over. This usually occurs as the Wei Qi has been weakened by a strong infection which weakens the Lungs, blocking the downward flow of fluids in the nose causing them to lodge in the sinuses, turning into mucous congestion and inflammation. Post nasal drip, polyps, fungal infections and chronic tonsil infections are just some of the illnesses I’ve seen present in my clinic as a result of weakened Lung Qi. Many new patients tend to be on their 4th or 5th sinus infection in a row, with further complications caused by multiple courses of antibiotics which have proven ineffective. this is because your immune system is powered by your digestion, and antibiotics can kill all the good bacteria in your gut, leaving your digestion weak. Many people don’t realise that sinusitis can have many internal causes such as ongoing frustration /anger and poor diet or lifestyle. This is due to these factors generating stagnations which can form into heat, phlegm or dampness. The old saying goes “the digestion creates dampness, but the lungs store it”. Meaning that the Phlegm and Dampness generated by poor lifestyle or diet tends to follow the Qi (which the Lung commands), and therefore lodging in that organ. This can result in chronic phlegm in the chest causing chronic cough, or it travels up higher lodging in the sinuses. Depending on the severity it can cause chronic sinus inflammation, congestion, polyps, ear infections and a whole host of other issues. Acupuncture works on correcting the internal imbalance, clearing the sinuses and strengthening the Lung Qi to prevent re-occurrence. Chronic sinusitis can also cause snoring, which leads to poor sleep and constant fatigue, as the body isn’t able to achieve proper rest. All of these symptoms can be resolved by treating the root of the problem lingering in the sinuses.